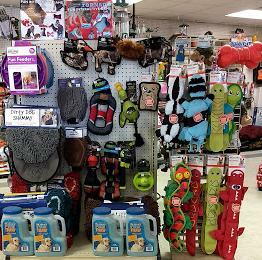 We carry many items for your fur babies - food, bowls, treats, toys, litter, bedding, collars, and leashes. 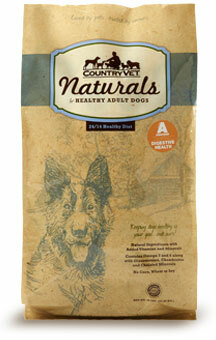 We carry a wide variety of dog & cat food; there is sure to be one that fills your pets' needs! Click here to learn more about the Exclusive brand! Exclusive Dog & Cat food is only sold by independent retailers - not the "big box" stores. Exclusive prides themselves in always using fresh, never frozen chicken, or natural lamb in their formulas as their number one ingredient. Exclusive also contains whole grains -high-grade, natural ingredients with vitamins and minerals - antioxidants for a strong immune system and omega fatty acids for healthy skin and coat. They also pride themselves in their 100% satisfaction guarantee. If you are not completety satsified with one of their products, please return the unused portion to the store of purchase for a full refund or replacement. Buy 8 bags of Exclusive dog or cat food (15# size or larger), the 9th bag is FREE! Chicken & Rice Puppy - support healthy growth with a 29% protein, 18% protein. Available in 15lb & 30lb. Chicken & Rice Adult Dog - a 26% protein, 15% fat formula. No corn, wheat, soy or fillers. Available in 15lb & 30lb. Lamb & Rice Adult Dog - a 22% protein, 12% fat formula. No beef, pork, wheat, soy, corn or fillers. Available in 15lb & 30lb. Healthy Weight Adult Dog - help keep your dog at a healthy weight with a delicious reduced-fat, nutrient rich 26% protein, 9% fat formula. Available in 15lb & 30lb. Chicken & Rice Senior Dog - helps maintain optimal body composition with a 25% protein, 11% fat formula and the nutrients levels older dog needs, including: Glucosamine & Chondroitin Available in 15lb & 30lb. Chicken & Rice Large Breed Adult Dog - help dogs with bigger frames maintain healthy body mass with select wholesome ingredients that are mixed in a 25:13 protein to fax ratio, designed for large breed dogs. Available in 30lb. Chicken & Rice Cat (cat & kitten formula) - help build strong, lean muscles with this 32% protein, 21% fat formula. Available in 5lb & 15lb. Chicken & Rice Weight Management & Hairball Care Adult Cat - this 32% protein, 9% fat formula helps control hairballs with natural vegetable fiber. Available in 5lb & 15 lb. Canidae - Buy 12 of the same item dog or cat food , the 13th of the same item is FREE! CANIDAE® prides themselves on the highest standards for food quality and safety. They create premium dog food and cat food that is delicious, nutritious—and that pet parents know they can rely on. No wheat, corn, soy, fillers, antibiotics, hormones, artificial flavors, colors or preservatives. Guaranteed levels of healthy omegas 6 & 3 for beautiful skin and coat. These are great tasting formulas that dogs love! Click here to learn more about Canidae and their brand. CANIDAE® Life Stages has a formula for dogs of all breeds, ages, and sizes. We stock Canidae All Life Stages for dogs in 44# and 15# bags. 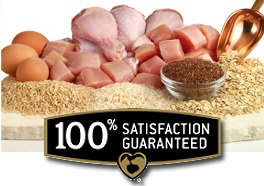 We use 4 high quality meat meals for great nutrition: chicken, turkey, lamb & fish. Guaranteed levels of glucosamine and chondroitin for healthy joints. Platium dog food in 5# & 30# bags are available. We will special order for you! CANIDAE® is available in additional formulas, including Puppy, Lamb & Rice, Low Calorie, Real Chicken/Lentil/Pea, Real Lamb & Pea, and more! We will special order for you. For those who like to supplement with canned dog food, we carry the Canidae brand. We will also special order for you! New CANIDAE® Life Stages Bakery Snacks let you feed your your pet healthy dog treats with an irresistible taste! The crunchy texture to help keep your dog’s teeth clean and the convenient “snap” feature allows you to break the biscuit into perfect portions—making training or treating your canine friend a cinch! They are an excellent size treat for dogs of all life stages, breeds and sizes and pair well with all of our premium dog food. Go ahead, enjoy some well-deserved time with your dog knowing that you’re giving them a great-tasting oven-baked snack with only 7 simple, natural ingredients! We carry the Bakery Snacks in: Turkey, Quinoa & Butternut Squash formula; Lamb, Wild Rice and Sweet Potato and Wild Boar & Kale formula. CANIDAE® Life Stages has a formula for cats of all breeds and ages. Canidae's All Life Stages or Chicken Meal & Rice formulas are ideal for multi cat families. They’re each nutritionally complete for kittens, adults, and seniors—making mealtimes easier when you have more than one cat! Canidae also has an Indoor Adult formula. All are available in dry and canned formulas, made with high quality protein sources—and without fillers, antibiotics, artificial flavors, colors, or preservatives. There’s a solution for every pet in your family. We will special order upon request. Another line of pet food from Exclusive is their RED Flannel Brand - Designed as an affordable diet for all breeds. Their Frequent Purchase Program has buy 10 bags of Dog food, get the 11th bag FREE! We carry Red Flannel in: Hi-Pro and Prime in 50 pound bags. Cat is a 20 pound bag. We carry Infinia with Salmon as the #1 ingredient! The Holistic pet food, with superfoods and grain-free for pet lovers that want the best! This is also great alternative for dogs with digestive issues. Buy 8 bags, get the 9th bag FREE! 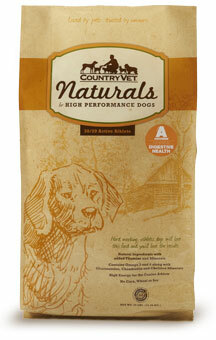 Country Vet dog & cat food are available. Made without corn, wheat or soy. BUY 10 BAGS, GET THE 11TH BAG FREE! 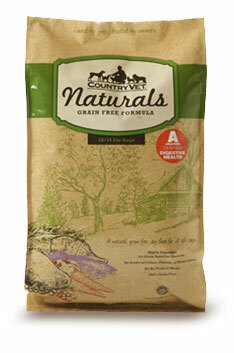 Click here to learn more about their Country Vet line of dog & cat food. Click here to learn more about their Naturals line. For our Farm Cats, we carry the 40# bags of Diamond Pet Foods Country Value Dry Cat Food, which is wholesome nutrition for Cats. Formulated with increased levels of high quality protein, in a palatable formula even finicky cats will love. Essential amino acid-taurine, and is urine pH balanced and magnesium controlled. We carry RED BARN PREMIUM DOG TREATS! Quality products from a U.S.A. Company. Check us out for our competitive pricing on all our products! The Original Dirty Dog Doormat - pictured at top of page. Welcome Your Pet, But Not The Mess! The Dirty Dog Doormat by Dog Gone Smart magically soaks up water, dirt, and mud so the mess stays in the mat...keeping your floors clean and dry! The NEW Cat Litter Mat solves the problem of messy litter scatter once and for all! Just like our Award-winning Dirty Dog Doormat™, this Litter Mat is a giant super sponge! Multi-use: Under food & water dishes, too!